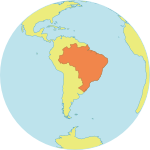 Hiring Office: UNFPA Brazil, Roraima Office. Start date and duration: January 2019 approximately 15 days. The scope of work is outlined below. Review the current GBV case management model and develop additional necessary tools, including the development of additional monitoring and evaluation tools for service quality assurance (2 days). Tools to support local level case management model and referral system including, but not limited to risk assessment checklist, safety planning form and additional monitoring and evaluation tools for service assurance. • Experience on mental-health/healthcare services, with special focus on behavioral and bio-psychosocial problems and disorders is preferable. • Proven relevant experience in developing GBV case management tools and guidelines. • Experience working on GBV training modules, etc. in Latin America preferred. • Knowledge and ability to deliver quality work output in high stress or short deadline situations. • Strong interpersonal skills, ability to coordinate and synchronize work with people of diverse cultural backgrounds, consensus building, team working and consortium dynamics. • Demonstrated ability to assess and analyse complex situations in order to determine conclusions and recommendations. • Excellent facilitation and diplomatic skills with the ability to facilitate mutual understanding and cooperation from senior national / international stakeholders in a highly political environment. • Strong ability to lead a team and guide supporting consultants as required. • Flexible and responsive to changes as part of the review and feedback process. • Knowledge of Venezuelan culture is an asset. Please send applications to Ms. Irina Bacci at Bacci@unfpa.org. The deadline for applications - 21 January 2019.